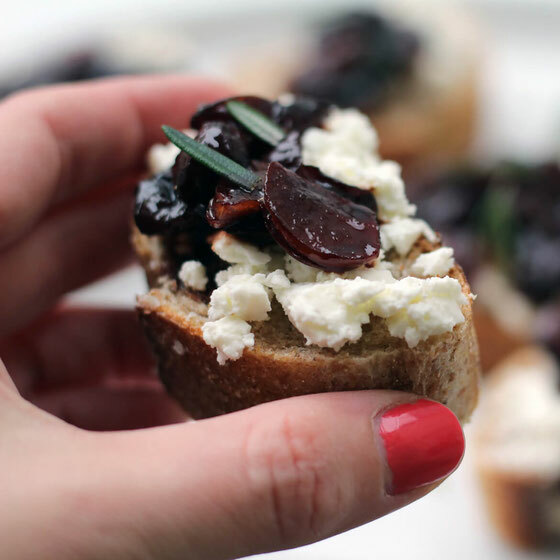 Looking for a sweet Valentine’s Day appetizer with no added sugar? 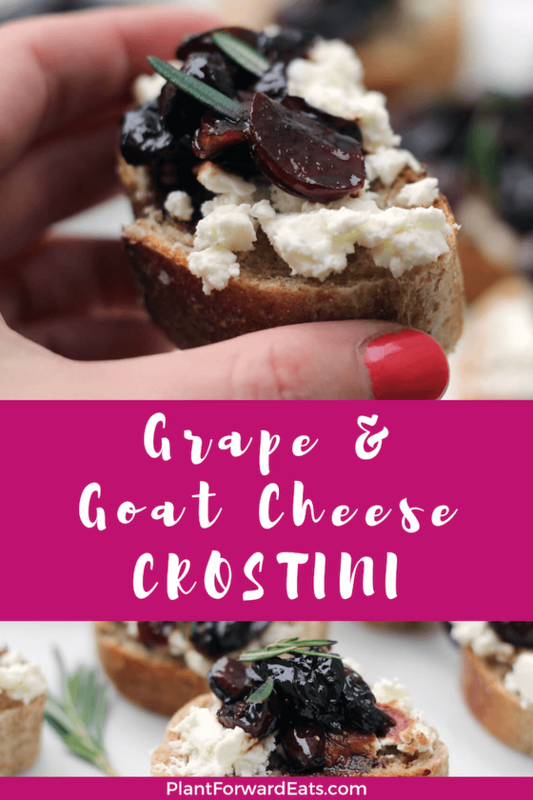 This delicious crostini recipe is heart healthy and perfect for American Heart Month. Thanks to the folks at Welch’s for sponsoring this blog post. All opinions, as always, are my own. February is one of my favorite months. Valentine’s Day is just around the corner, and so is my anniversary with my boyfriend. (We had our first datae four years ago, just after Valentine’s Day!) It’s also Heart Month. So while you’re celebrating the romance in your life (or your friends, if you’re embracing Galentine’s Day this year! ), also embrace your heart health. I have a strong family history of heart health issues: Both of my grandfathers passed away due to heart attacks, and two of my three paternal uncles have had heart attacks. So as a registered dietitian nutritionist, I work to not only maintain the health of my own ticker but also to help those around me do the same. I like to make delicious food that’s also healthy—and I use minimal or no added sugar to do just that. So I challenged myself to create a homemade crostini recipe that’s heart healthy and naturally sweetened. My recipe features Welch’s 100% Grape Juice, made with dark purple Concord grapes. Concord grapes are special grapes, only in season for a short time each fall. So the best way to get their many health benefits is from the grapes’ juice. In fact, 20-plus years of research shows that drinking the juice can help your heart in many ways—including supporting blood vessel health to help promote healthy circulation and keep your blood flowing freely. Plus, each cup of the juice offers zero added sugar and 1 cup (two servings) of fruit, helping you meet your daily fruit quota. Adults need between 1 ½ and 2 cups of fruit daily. While drinking the grape juice is a great way to get these benefits, there are plenty of fun ways to cook with it, too. In addition to these crostinis, you can also use the juice as a sauce for Brussels sprouts and as a base for grape vinaigrette. 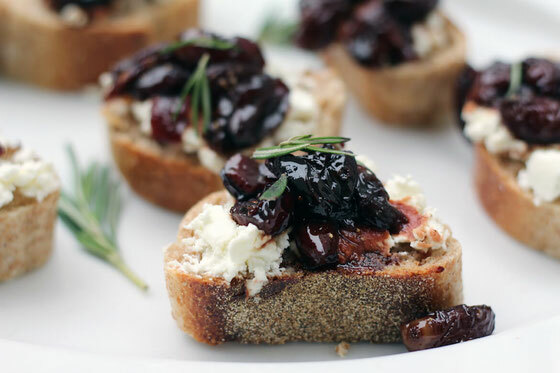 Wondering how to make roasted grape crostini? I’ll tell you, and it’s pretty simple! While I toasted the baguette slices, I heated a mixture of garlic, seedless table grapes, and 100 percent grape juice on the stovetop. When the mixture warmed, it reduced—so you get a wonderfully sweet taste with absolutely no added sugar! Then, I topped the baguette slices with goat cheese, the grape mixture, black pepper, and fresh rosemary. These crostinis were so tasty that they didn’t last long in my house! I can’t wait to hear what you think of this recipe, which is a perfect snack for Valentine’s Day or any day. Hopefully you will make it for someone special—even if that person is yourself! Add garlic and grape slices to a medium non-stick pan. Cover with grape juice; bring mixture to a boil, and reduce to a simmer. Once mixture begins to thicken, stir until most (but not all) of liquid is absorbed. 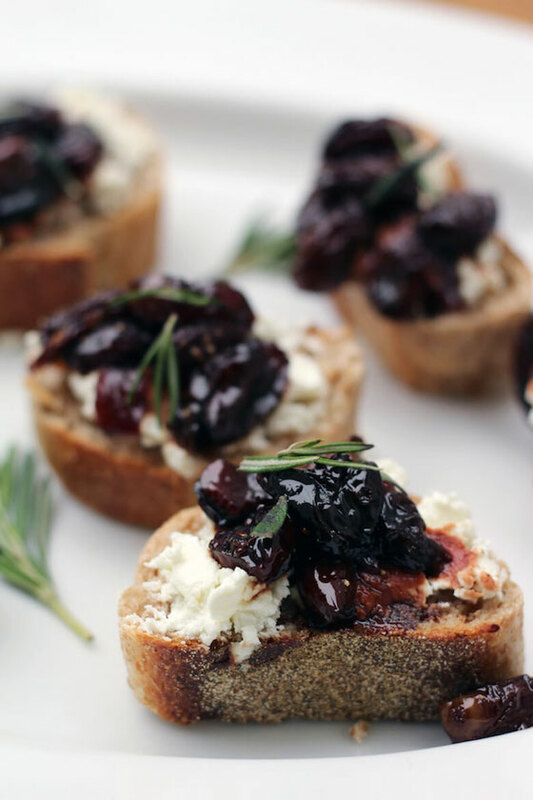 Top baguette slices with goat cheese, warm grape mixture, black pepper, and rosemary. Enjoy! Makes 16 pieces. What are your thoughts on this topic? What are your favorite heart-healthy appetizers, dishes, and desserts?